Painted Garden Flowers Heart Pillow Hand Painted Fabric Farmhouse Cottage Chic Fairy Wish Grow by Laurie Rohner. 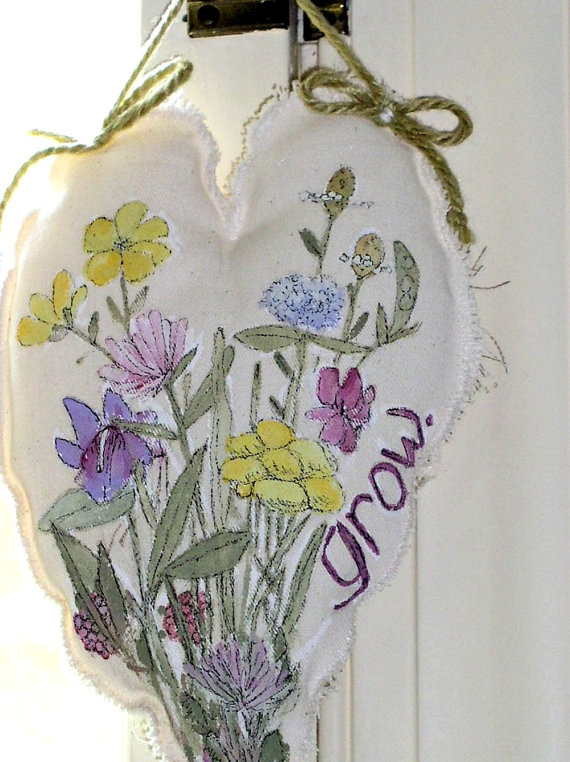 A hanging painted fabric cottage heart pillow complete with a fairy wish to grow. The painted fabric pillow is simple farmhouse chic decor. Comes with a simple inspiring word 'grow' and enchanted fairy magic . The pillows are hand sewn and slightly stuffed, made of cotton canvas painted with acrylic paints and ink and heat sealed. Attached is a natural wool heavy yarn. 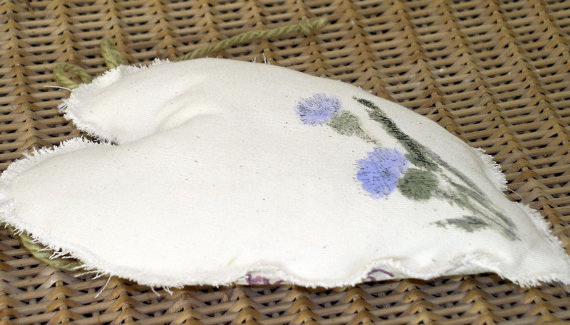 This pillow the fairies picked spring fresh colors of pinks blues lavenders and sage green ( that matches the wool). On the back of this pillow is a field thistle. Size of pillow: 9"l x 5.5"w x 1.5"d.
Though the fairies inspired the making of these new pillows the style is influenced by my love of farmhouse cottage chic. 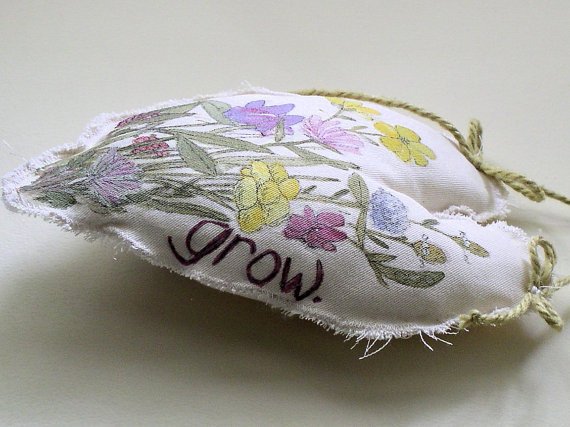 Hang the pillow on a door knob or nail or the knob of a dresser to remind you to keep growing. Age should never stop anyone from remembering to grow. These are my original designs and I hand craft each piece.